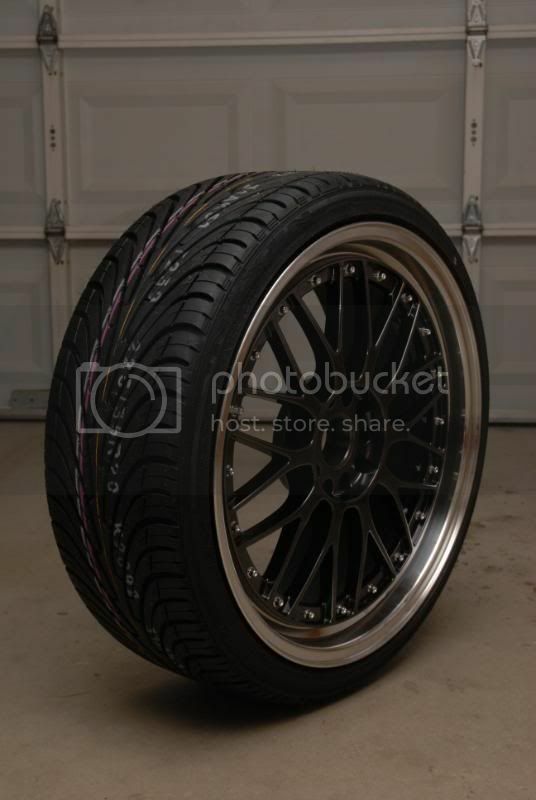 I ordered 225/35's for the front already, should be here Monday or Tuesday. So I'm set on those for the fronts. My plan as of right now is to remove the 245/35 I have on the 8.5" and mount it on my other 10.5". That way I can try both the 245 and 255 on the 10.5" to see which one will work the best. I'm trying to avoid running too much negative camber as this is my daily driver. Work comes first unfortunately. Still trying to get my BC coilovers on, haven't had any time to do it. Hopefully this weekend I'll be able to. Only progress I've made is mounting 225/35's on the 8.5's and a 245/35 on the 10.5". Here is a Nexen N3000 225/35/20 mounted on an 8.5". Here is a Federal 595 245/35/20 mounted on a 10.5". 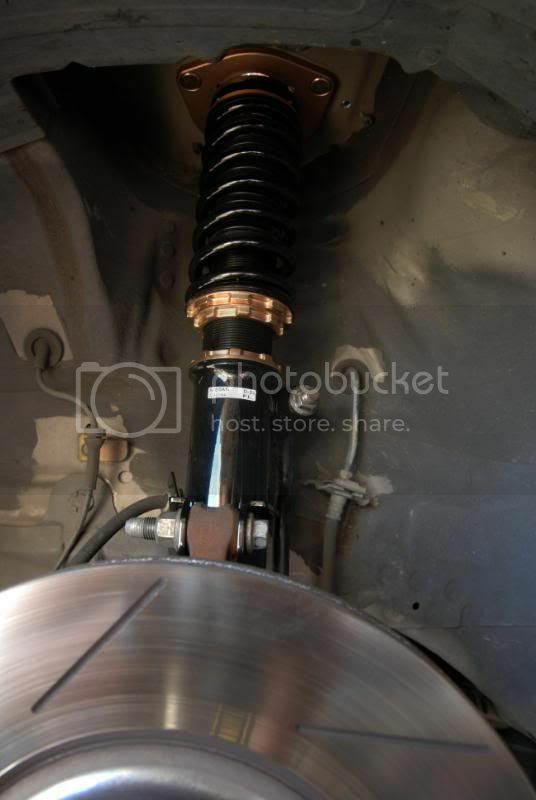 Here are the BC Racing BR Type coilovers. I was only able to do one side because it seems the nuts provided with the shocks are the wrong size and I could only find one, gotta pick one up in the morning. It was dark so this is the best I could do for now. 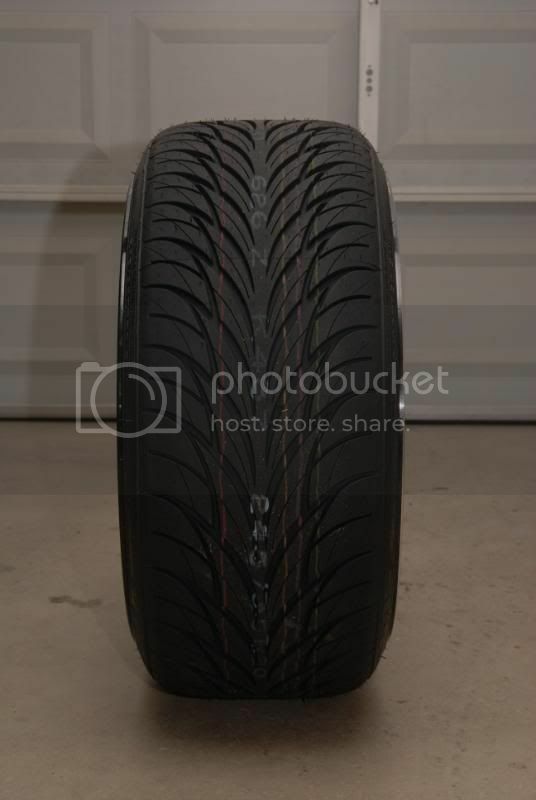 It does look good, but hitting 1 pothole is gonna bust that rear bead. Here are the BC coilovers installed. This is for all you guys asking me to put the 10.5 on the front. 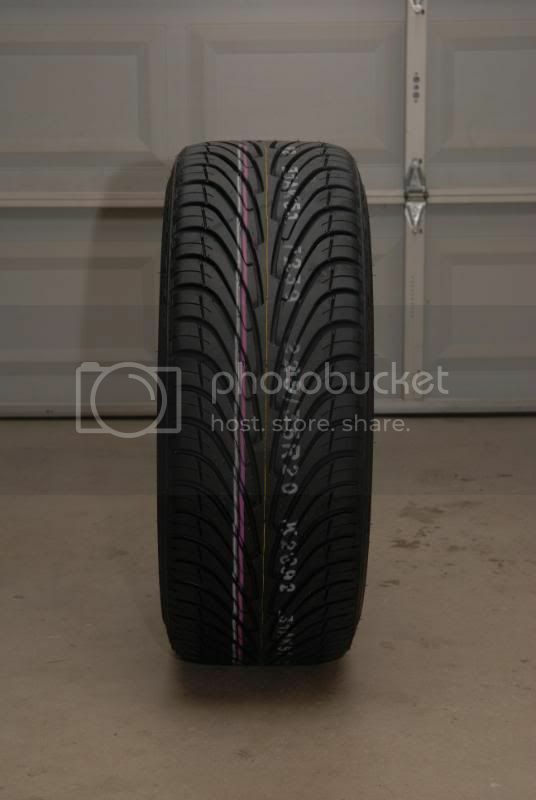 Keep in mind this is with a 245/35/20 tire and Progress/KYB suspension. It looks like it could work, you just can't turn all the way without rubbing the fender liner (which I'm already doing with the 8.5 and 225/35/20). 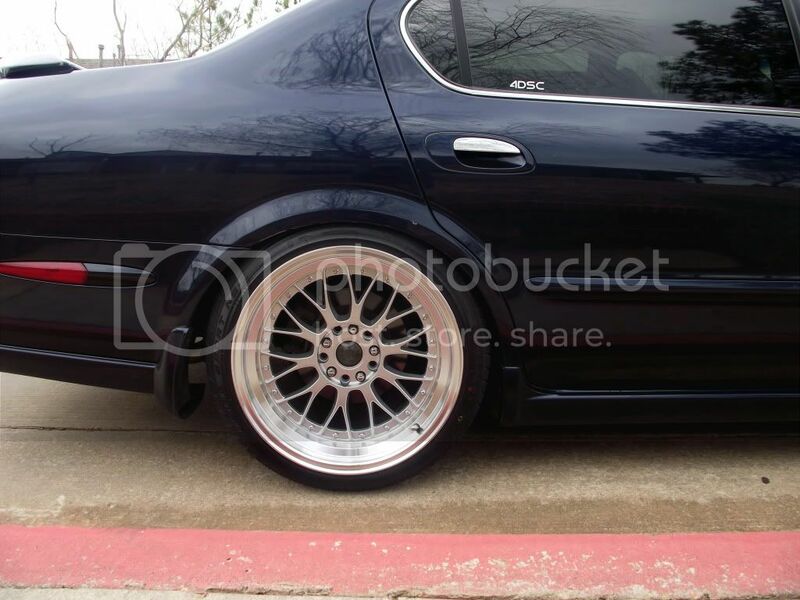 You will more than likely have to lower more than this and run negative camber. 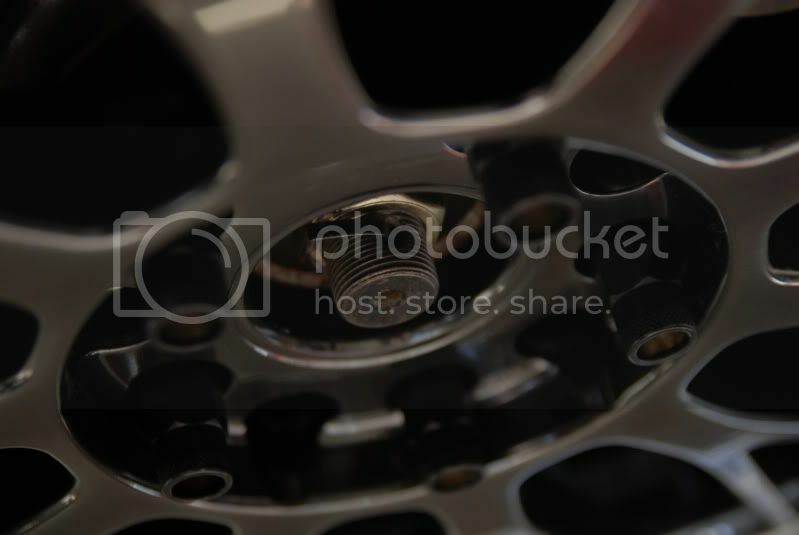 For these wheels specifically, it doesn't look like the center cap will fit if putting the 10.5 on the front. 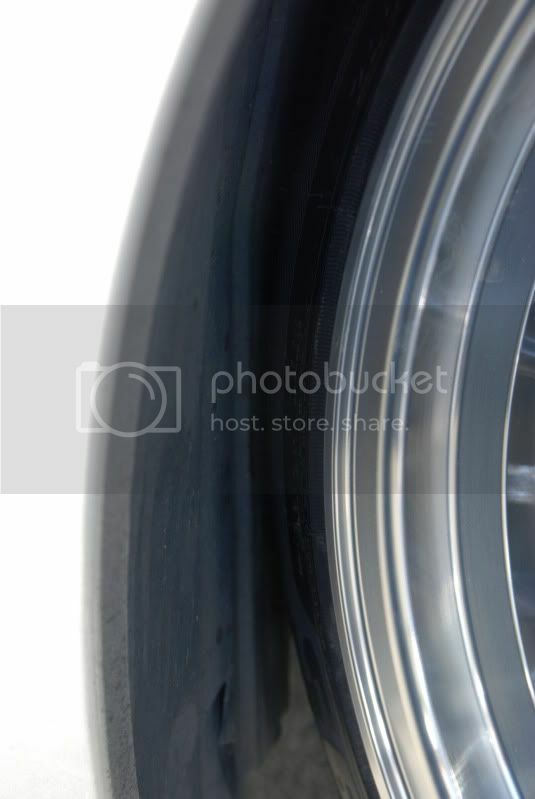 Rubbing on rear of fender liner, full left turn. 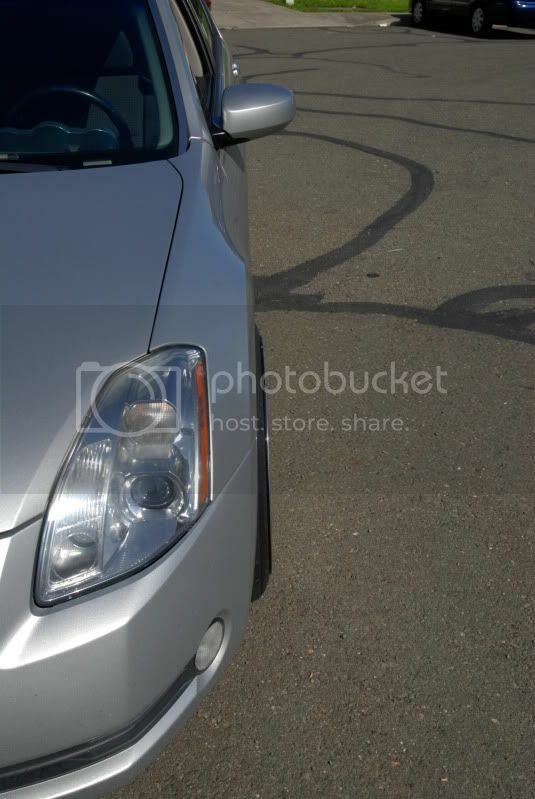 Rubbing on front of fender liner, full right turn. Center cap not (can't be) installed. 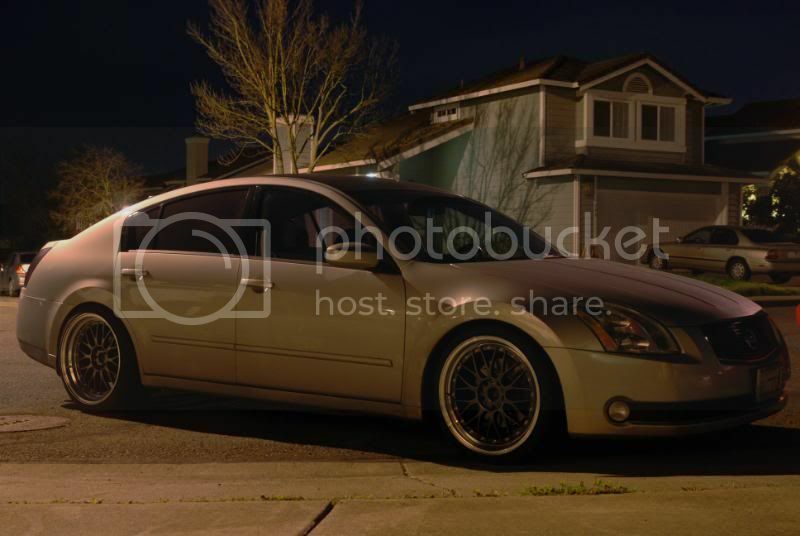 I need to lower the car a bit more, but I'm going to wait until the springs settle, so it'll stay like this for a bit. 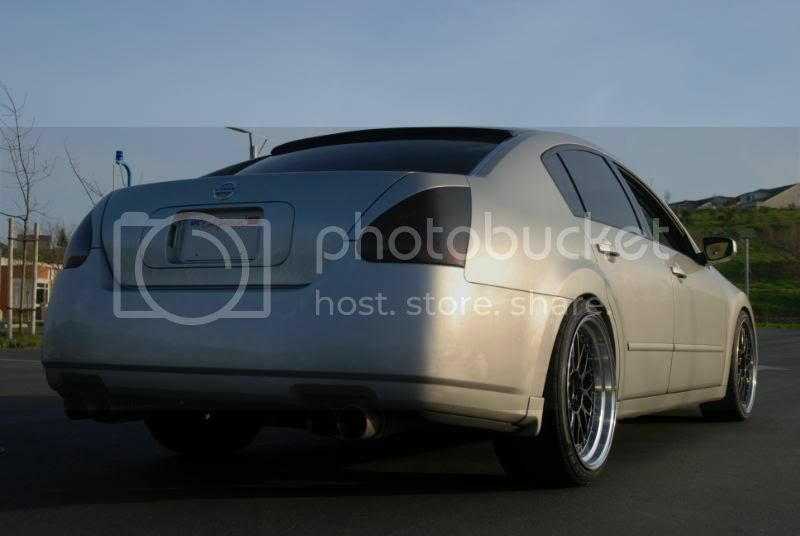 I still need to modify the rear bumper mount. I've set the dampening to 20 all around (0 is hard and 30 is soft), and so far the rear has not rubbed yet. I hear a bit of noise on turns, which I believe is the front tire rubbing on the fender. I also hear occasional noise from the front on certain dips, which is either the tires rubbing or noise from the coilovers. Thanks. 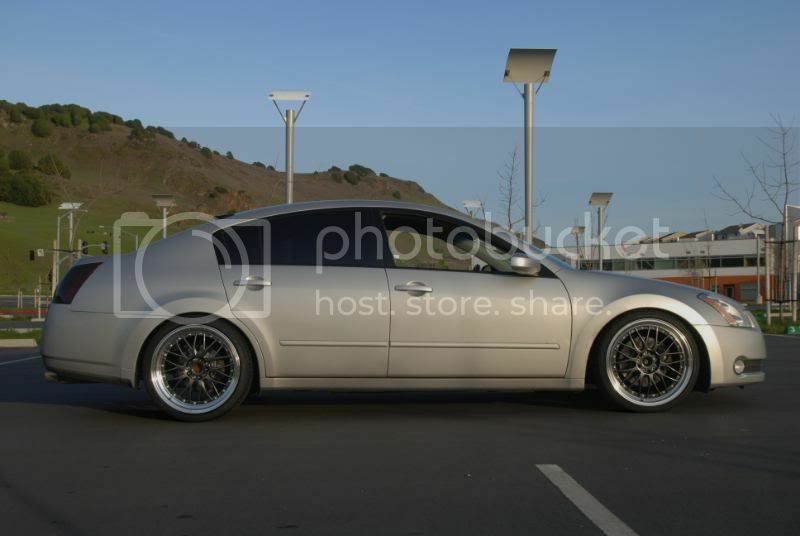 I need to deal with my rear fenders before I go any lower. 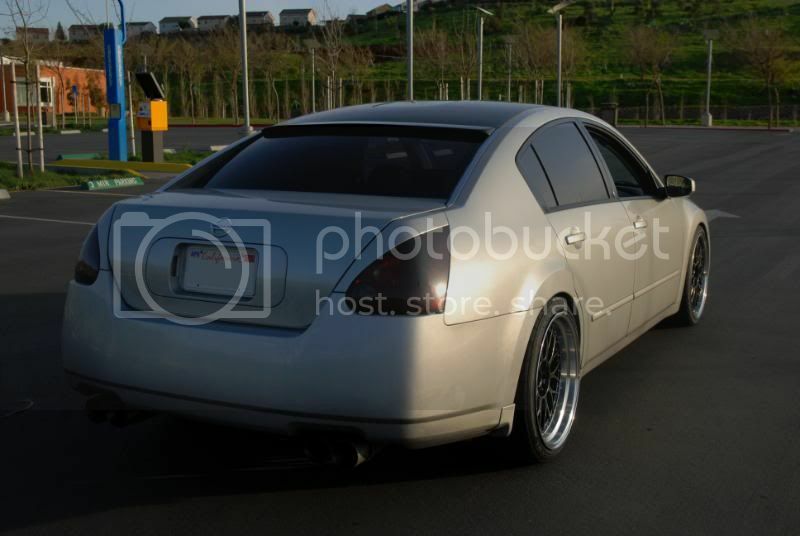 I need to trim the fender liner, get the fenders rolled flat, and modify the rear bumper mount. 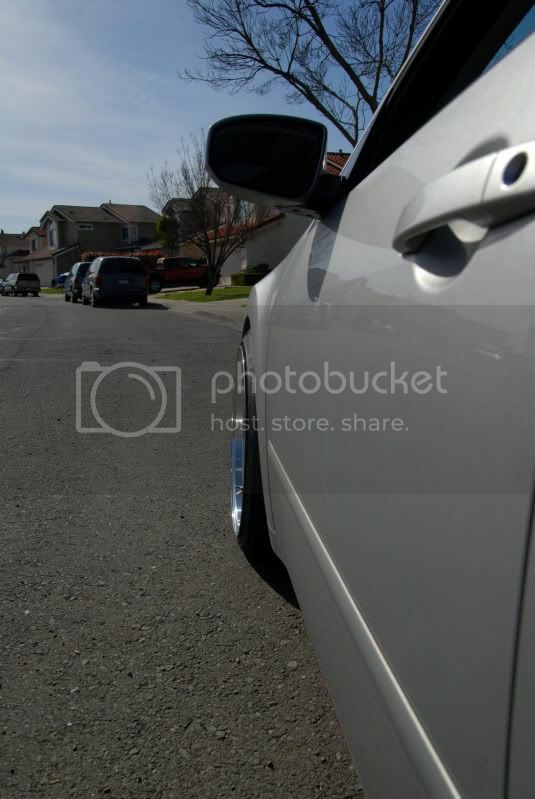 I'm also trying not to run too much negative camber. My grill is an E&G grill with the middle painted black. 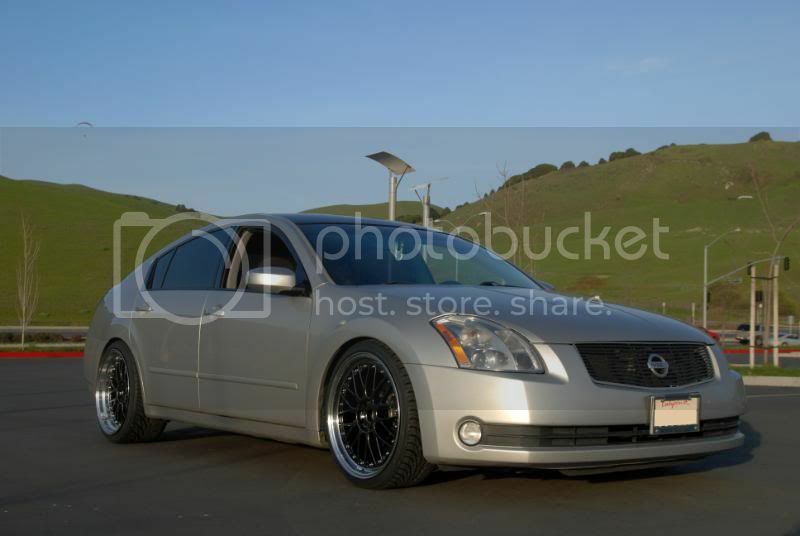 I need to repaint it, I might just try using Plasti Dip. Thanks. While the 10.5 all around COULD work, I don't think it would with these wheels since the center cap can't be installed. And I'm already rubbing on turns in the front with 225/35's on an 8.5, I can't even imagine any tires taller than that with the same drop. Maybe someone who doesn't DD their car can try it. Thanks. 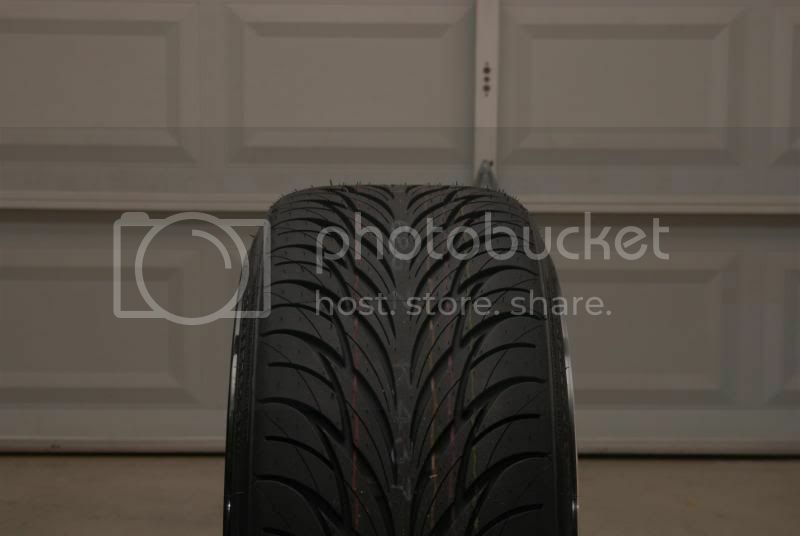 I need to deal with my rear fenders before I go any lower. 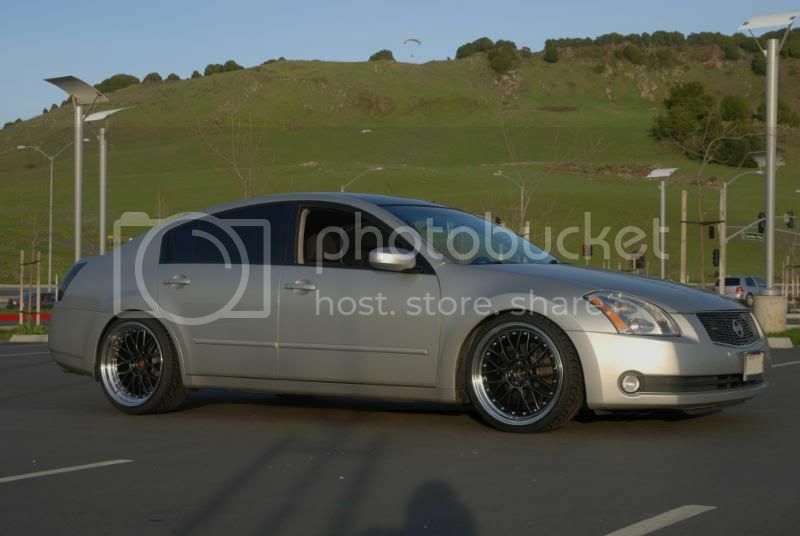 I need to trim the fender liner, get the fenders rolled flat, and modify the rear bumper mount. So do you have plans to do any of the above soon? Thanks for doing that. It looks good. I'm trying but the weather isn't very ideal. No problem, hope that helps you decide on your wheels. Thanks bro. You have something sticking out in the center? Luckily my caps fit, trying to decide if I should leave them chrome or paint them black. It'll probably be way easier to just paint that and the front caps black. At least it doesn't look like the 10.5" on my front, it'd be pretty hard to cover that up lol. Looks sick.. I got a 7th gen and was kinda nervous about 10.5s in the rear but i think ill be safe after reading this..
lookin good mayn how did this effect handling? can you notice a diff? Nice drop man, it's tastefully modded so far. What you got planned next? Thanks. The main thing to understand is offset. As long as you choose the correct offset, the 10.5's will fit without any problems. Thanks. How did what affect handling? 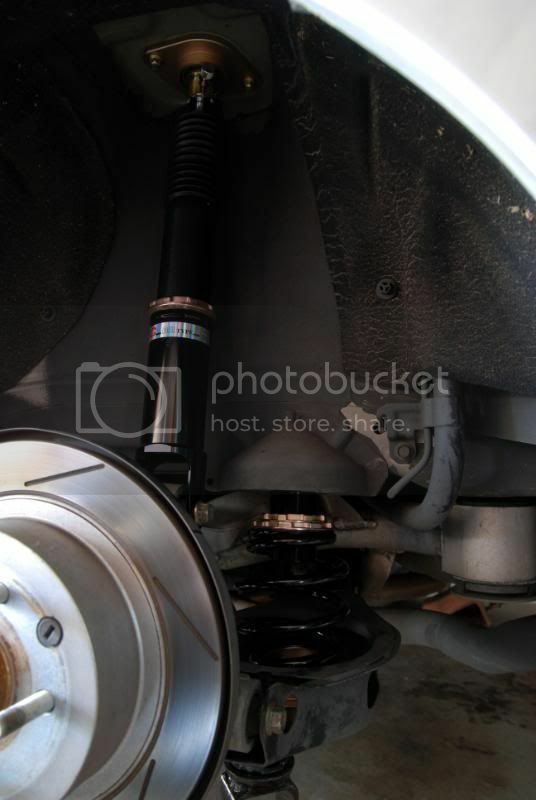 With my complete setup, I can't utilize the functionality of the coilovers. My wheels are too aggressive to be this low. 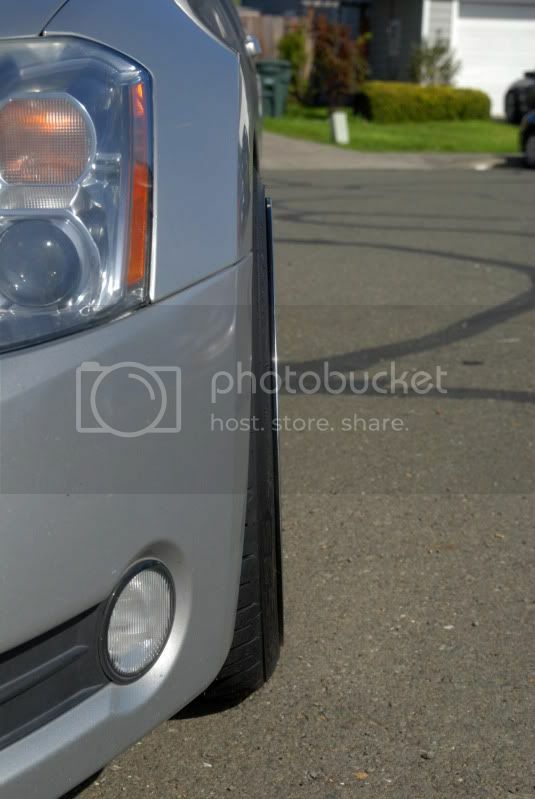 Take corners too fast and my front tires hit the fenders, it comes with the territory of having lower offset wheels. If you are only asking about the coilovers, then they are pretty damn good for handling. When I had my stock wheels on and the dampening set 10 clicks from hard, I could take corners pretty quick without much body lean. 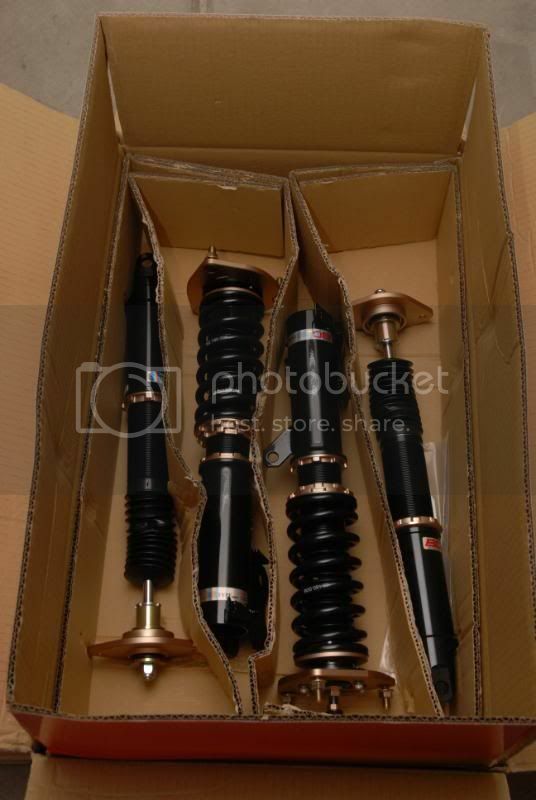 If you are looking for a good suspension setup with adjustability, I would definitely consider these coilovers. Thanks. Not much, I mostly wanted to get my wheels setup correctly. Researching projectors at the moment, I'd like to replace the halogen projectors with better D2S projectors. E55 projectors are the easiest since they are a direct replacement, but when comparing the output of those with other projectors, the E55's are pretty average looking. how about the spacers? 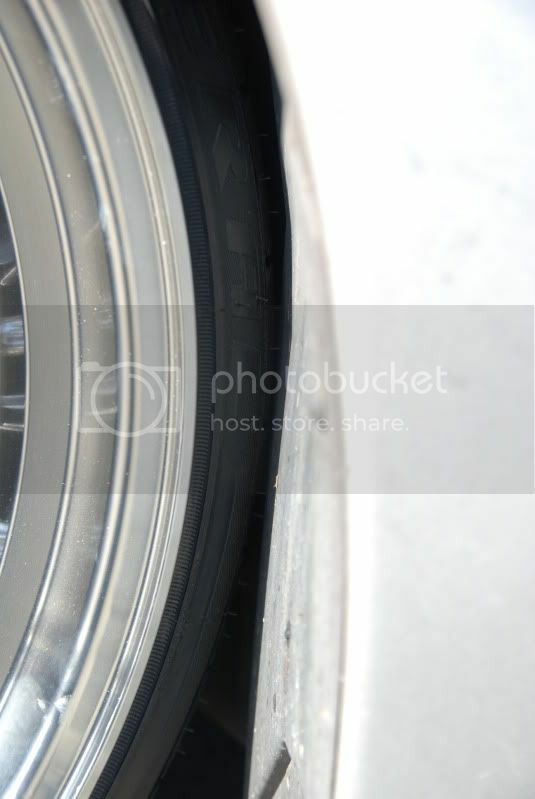 with the 15 mm spacers did you notice better cornering or was it too close to call? 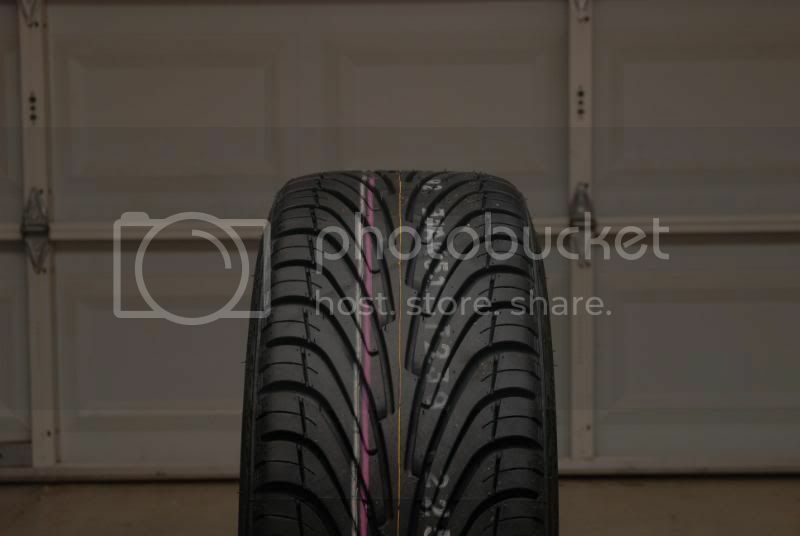 im planning on getting 25mm spacers, first time i've used spacers so im interested in how they effect the car. 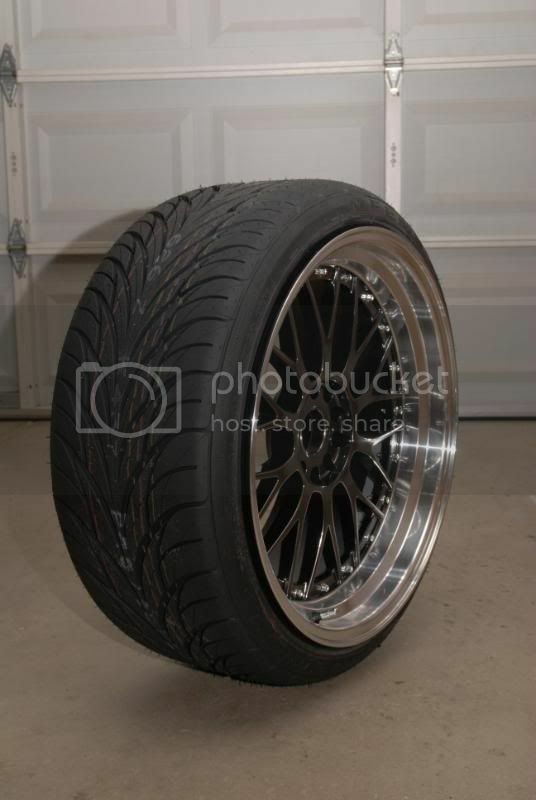 i don't plan on lowering my car but regardless, I know i gotta role my fenders so well see how it goes. also, how much do spacers affect turning radius? our cars aren't really very good for u-turns, but i can live with making it a little worse for the performance and look of a wider offset. just want to know what to expect. was it a difference worth telling about? That'll be a nice upgrade since it'll eliminate the glare/cut-off point of the halogen projectors with an HID kit. In for pics when you get everything done! Honestly handling wise I couldn't tell the difference. The biggest mistake most people make is rolling the fenders before they have to, since the number one spot people rub is the fender liner covering the bumper mount. What size spacers you use will depend on your wheel diameter, width, offset, and tire size. 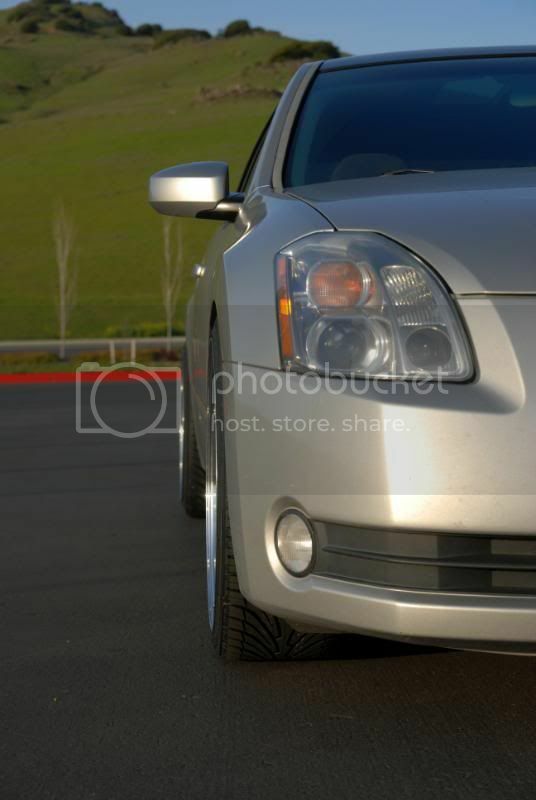 If you don't plan on lowering your car, I wouldn't space out the wheels any further than the fender or stretch tires. The turning radius is probably a tad bigger, but probably won't be noticeable since it's already bad. Thanks, I've always liked how aggressive your setup is (or was). 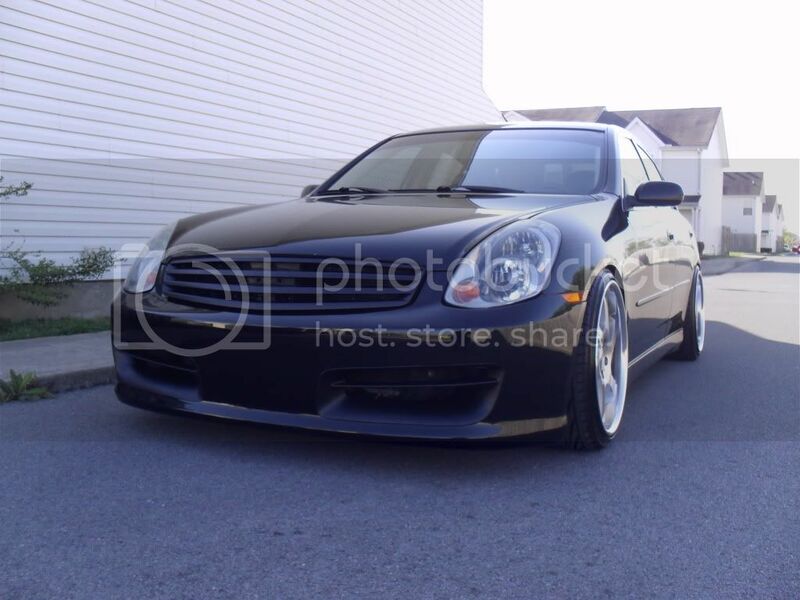 I'm kind of curious to see how the 10.5's look up front now that I have the coilovers on and can dial in more camber. Yeah, I absolutely hate the output of the halogen projectors and the kit. Can't see ****! 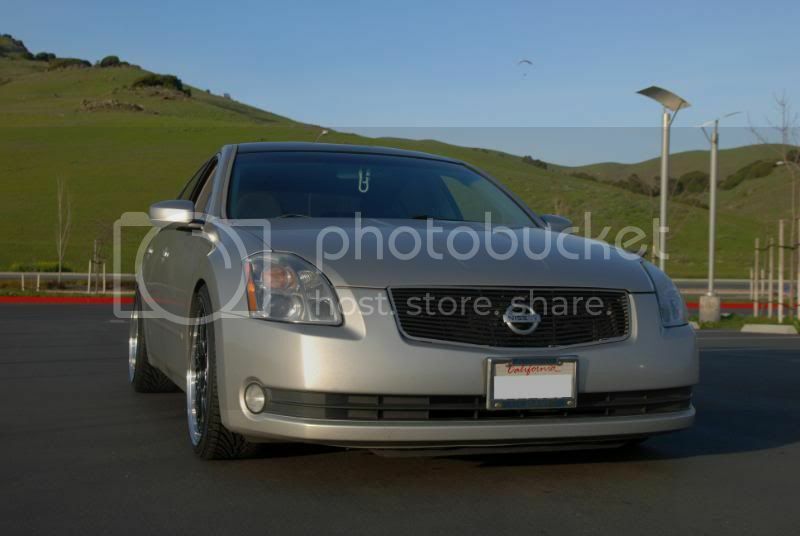 I'm more than likely just going with the Hella E55 projectors, I've been looking at the headlights and the 6th gen headlights are definitely not projector mod friendly. I wanted to use FX-R projectors, but it'd be hard to get the lens in the same position as the stock ones, the lenses are 1/2" smaller in diameter, and the design of the headlights prevents using any kind of shrouds. The Hella E55 projectors are pretty solid from what I've seen. But yeah, I definitely agree with you. The only way is to open up the headlights. Well, it gives you a reason to paint your headlights or what nots while your at it. Last edited by 6.5affiliate; 05-13-2011 at 09:08 PM. I've already been planning on painting the headlight housings black and using the Hella E55 bi-xenon projectors (which use D2S bulbs) with ZKW-R clear lenses. The thing I'm going to look into is what happens if I use the projectors without the foreground shields (not the cutoff shields, but shields that block light close to the car). Thanks. What's the offset? Saw those a while back and they have some major lips. Are you using any spacer in the front or rear? 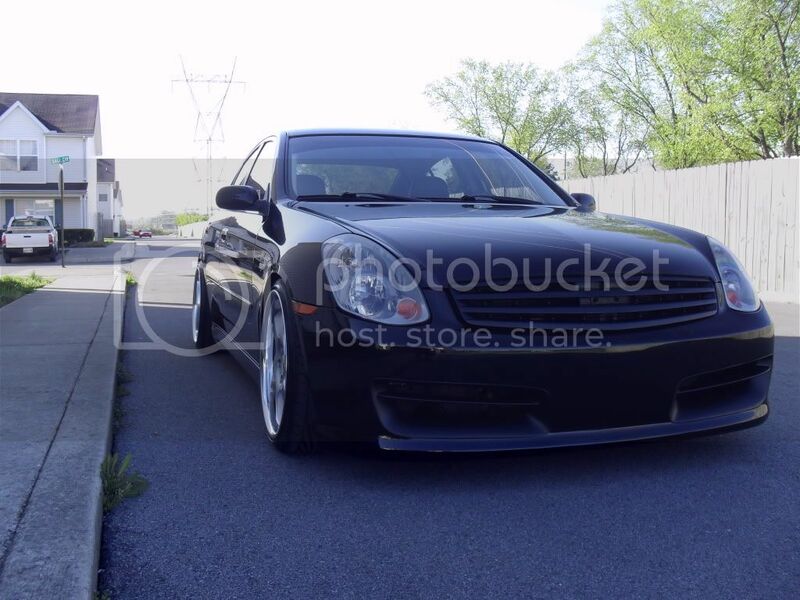 My cousin has a 05 g35 sedan they run aggressive wheel fitment and spacer. can we do the same thing? 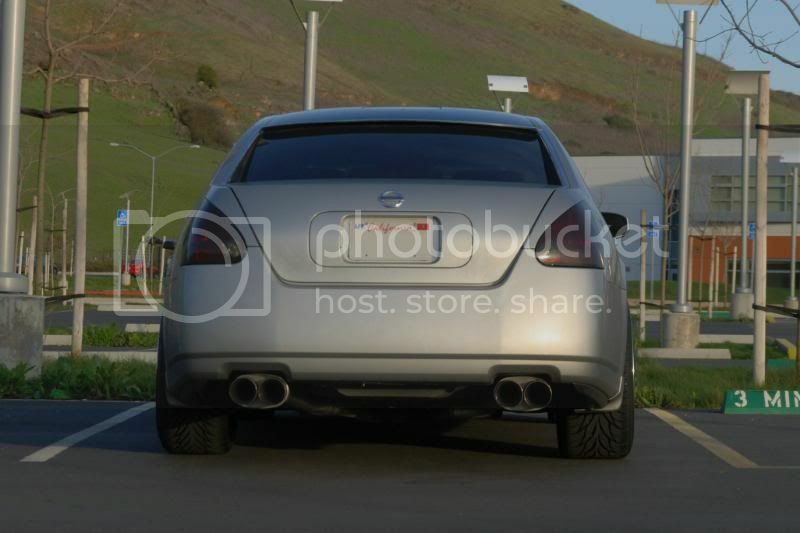 Anyone Have A Picture Of A Rear Diffuser On A Maxima That Is Not White Or Black?